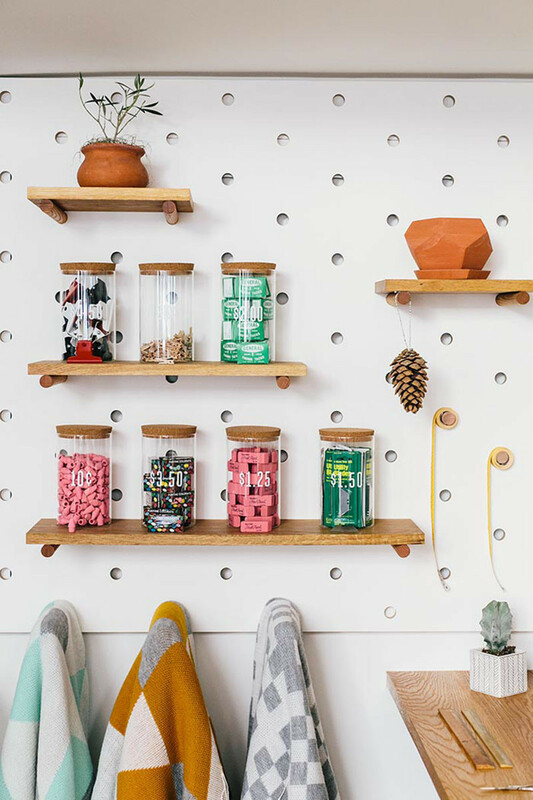 When it comes to storage, few things are as versatile as pegboards. 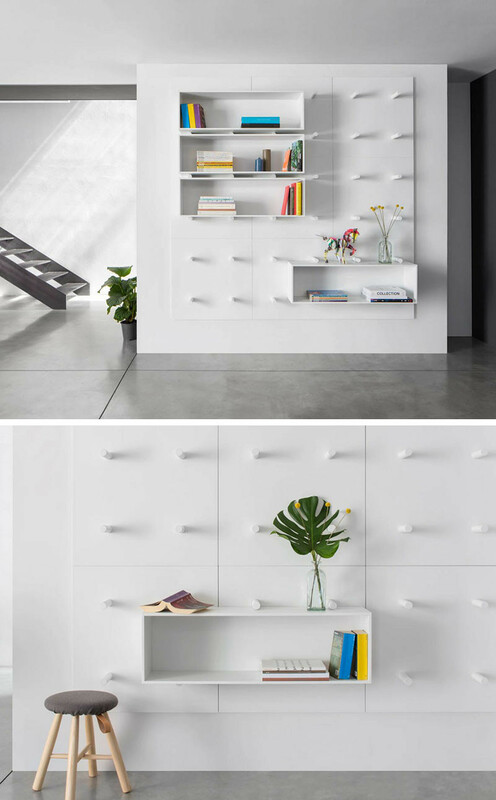 The dowels can be configured in an almost endless number of ways, hooks can be added for hanging, and shelving can be used for larger things. Pegboards are great for small spaces and in places with lots of wall space, but not a lot of storage space. 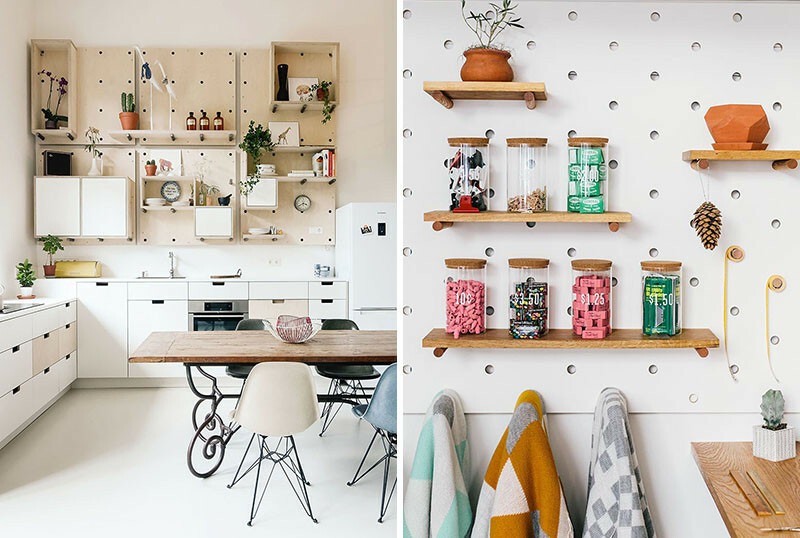 Here are 12 examples of pegboards being used in all kinds of settings performing the same task: maximizing storage and minimizing clutter. 1. The pegboard in this tiny apartment flows from the kitchen to the bed area, providing customizable storage in each space. Interior designed by the POSITION Collective. Photographed by Balázs Glódi. 2. 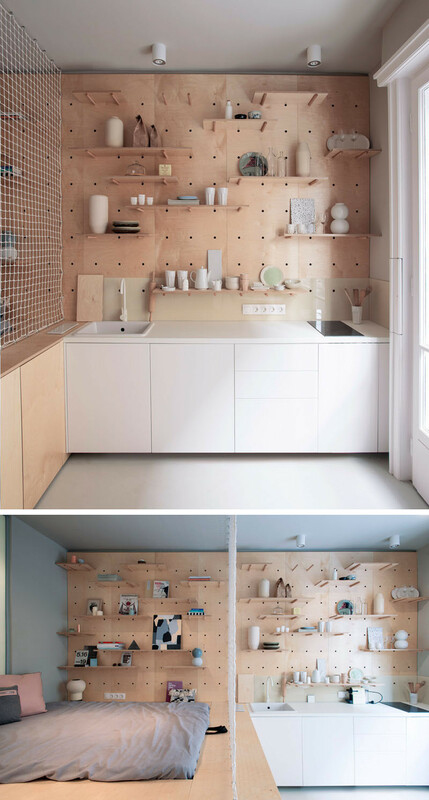 The pegboard shelving makes it possible to have shelves and boxes in this kitchen that can be rearranged whenever the owners feel they need a change. Interior designed and photographed by Standard Studio. 3. 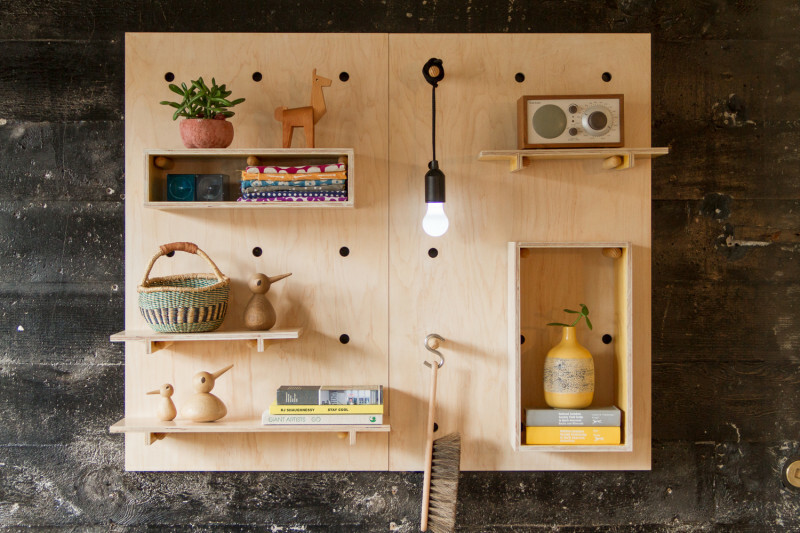 The Bang Bang Pegboard is a modular shelving system you can have shipped right to your door! 5. This pegboard is made of modular panels and removable pegs and boxes allowing for endless storage possibilities. 6. 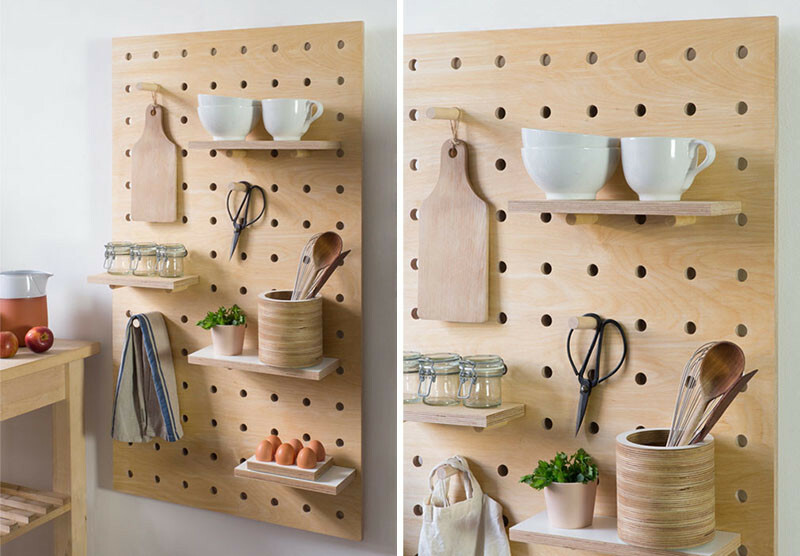 These pegboards are made from thick solid white birch for strength and sturdiness, perfect for holding mugs, bowls and kitchen accessories. 7. This pegboard could be used in place of art, by displaying your favorite pieces. 8. Pegboards are extremely versatile, making them great in kitchens, offices, and even retail spaces like this one. Loyal Supply Co. studio/retail space by Unlikely Creatures. Photography by Joyelle West. 9. 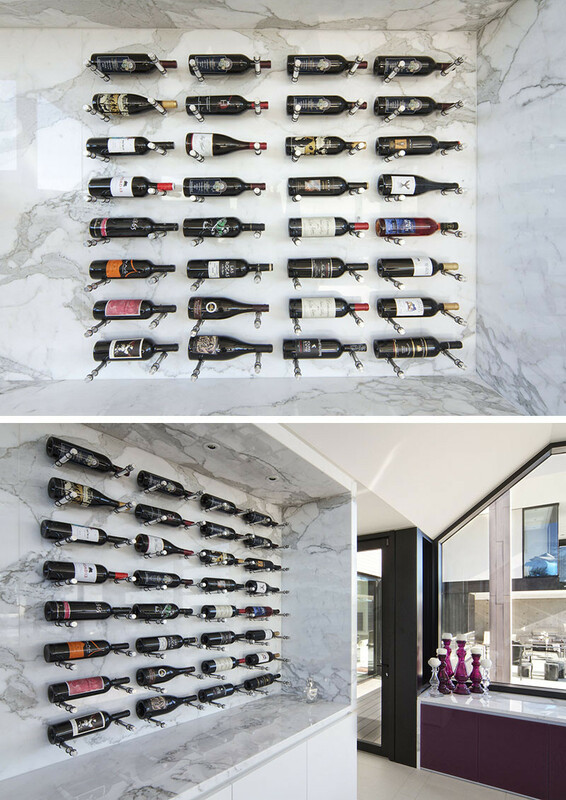 Organize your wine on these custom made wine walls that use pegboard principles to keep the bottles in place.